It’s quick and easy to make magic slime. 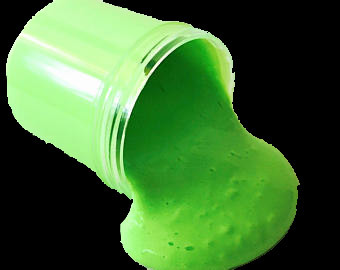 Use one of your green slimes or any plain color slimes you already have. Blue or red also works great. If you don’t own a slime, you can buy directly on Etsy, just search for slime shops. You’ll need to use a green screen app called Green Screen Live to create the MAGIC EFFECT! It’s free and it’s ready to use without modifying any settings when you’re using a green colored slime. Step 3: Launch Green Screen Live app and point the camera at your green slime, and VOILA!!! Your slime is magical! Feel free to tap the backgrounds icon button to select your own magic filter. Here is a video made using a green slime with Green Screen Live app. Put “DID IT” in the comments if you did it too!